This elegantly designed TV is a picture powerhouse. 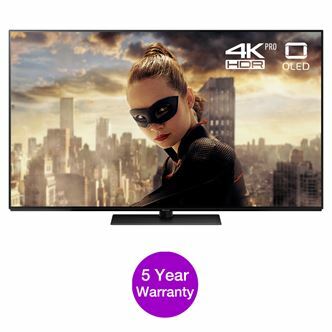 They combine the peerless contrast capabilities of 4K HDR OLED screen technology with new Studio Colour HCX picture processing thats been tuned by a Hollywood colourists to ensure you always get to see pictures exactly how their creators intended. (Within The Manufacturer's Warranty) The return is managed by Panasonic.